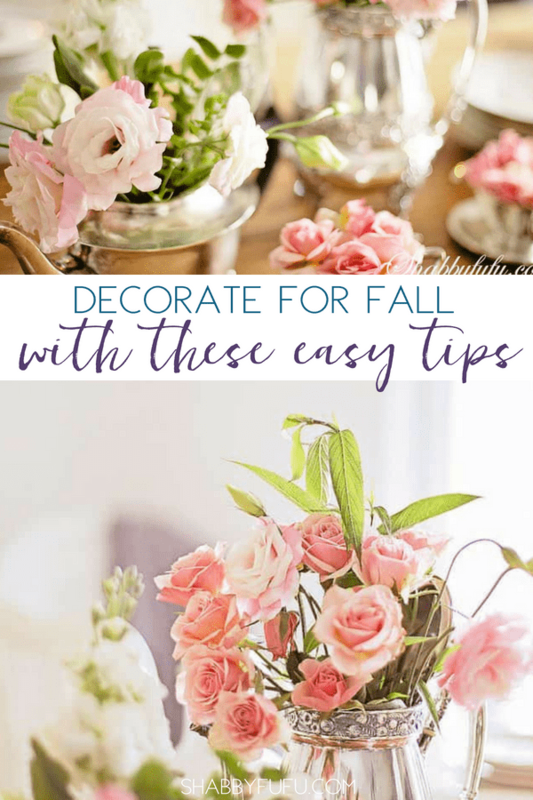 Pretty fall decorating ideas for your table and so many of us love to decorate with non traditional colors these days! 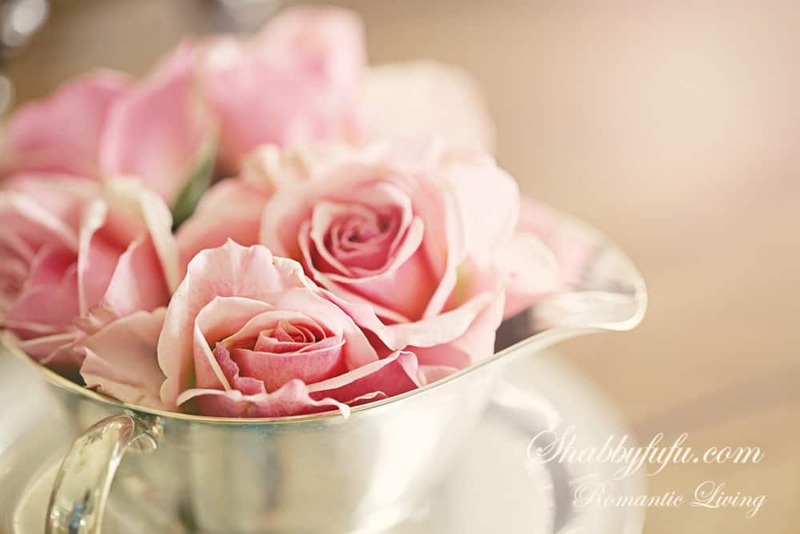 Roses in silver…perfect for Fall and the colors can be deeper than the normal pale flowers I like to use. I’m not a huge fan of the traditional oranges in my home. 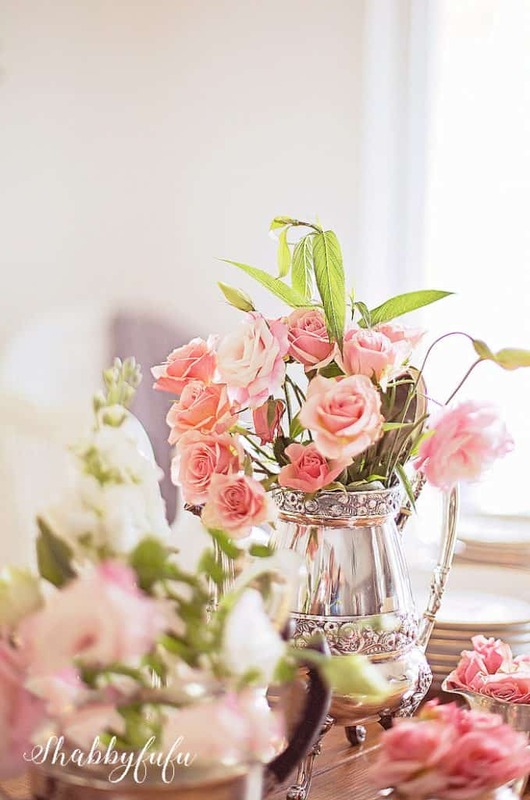 These photos are from the archives of last year’s tablescapes but not out of date and timeless with the polished silver pieces filled with pink florals. 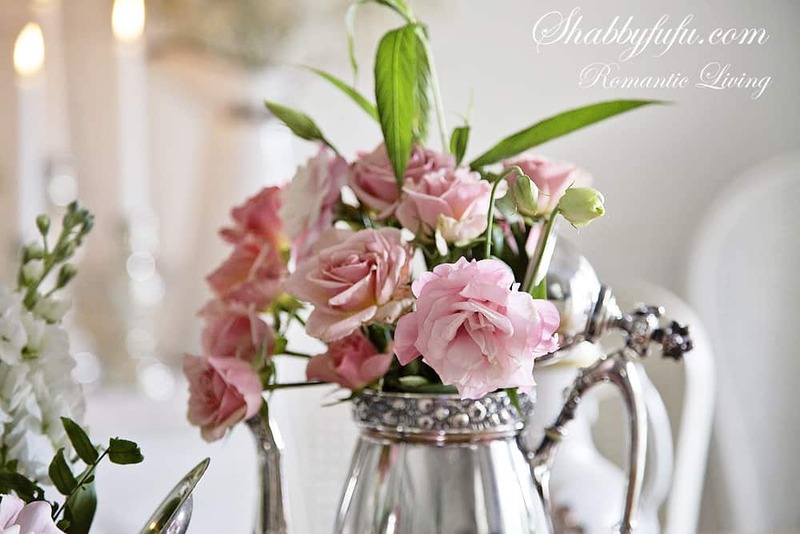 The silver is elegant and dressy for entertaining and the pink roses and lisianthus soften up the rustic wood table in my dining area. 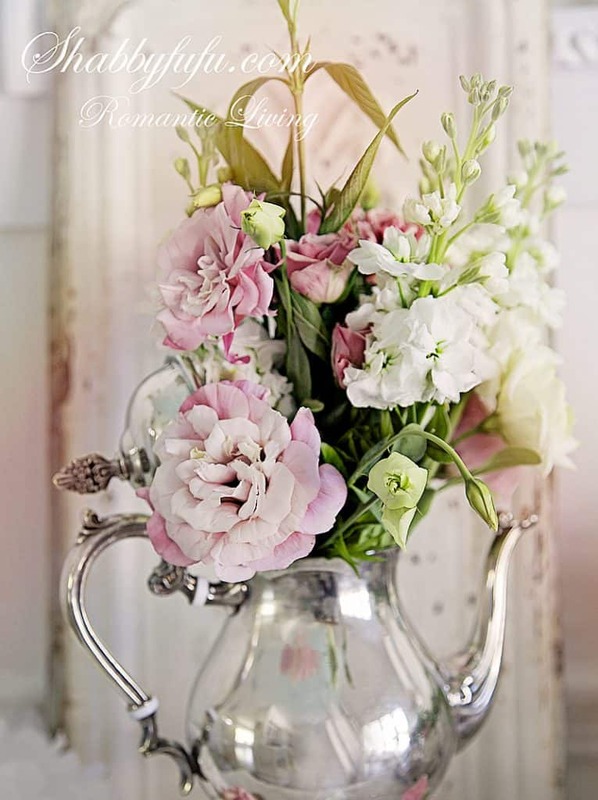 Vintage silver pitchers can often be found at thrift shops and yard sales and make beautiful vessels for arrangements. 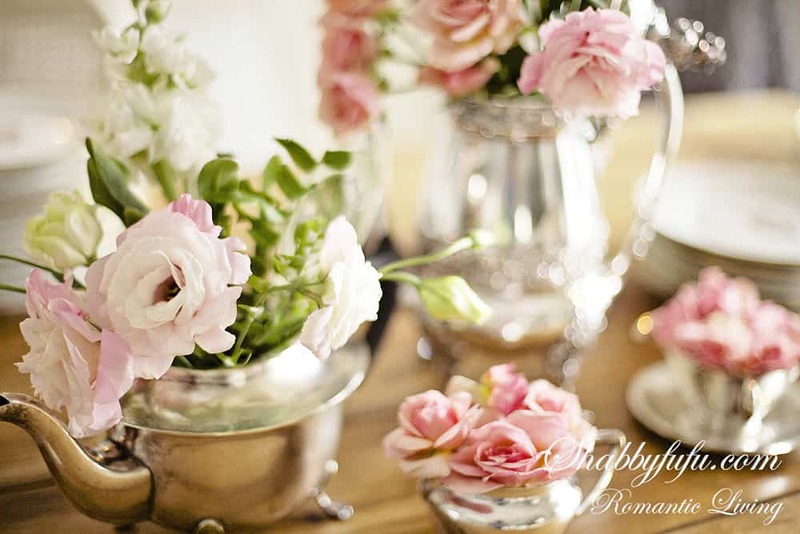 All of my silver and silver plate was purchased over time this way and inexpensively. In this pretty fall table setting I admittedly went a bit over the top as it was themed for a Marie Antoinette inspired dinner event. 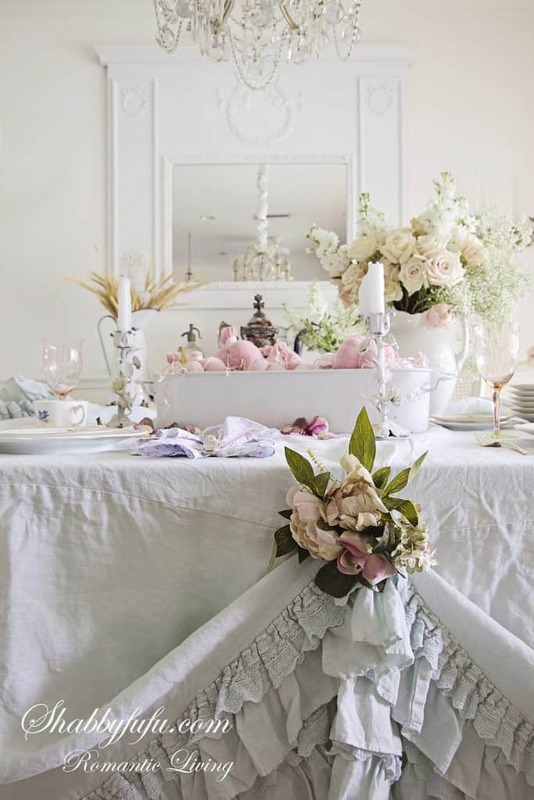 The tablecloth is actually a ruffled duvet from Shabby Chic Couture and I often use sheets and bedding in table dressing. It was pinned with a large safety pin and faux floral napkin ring. 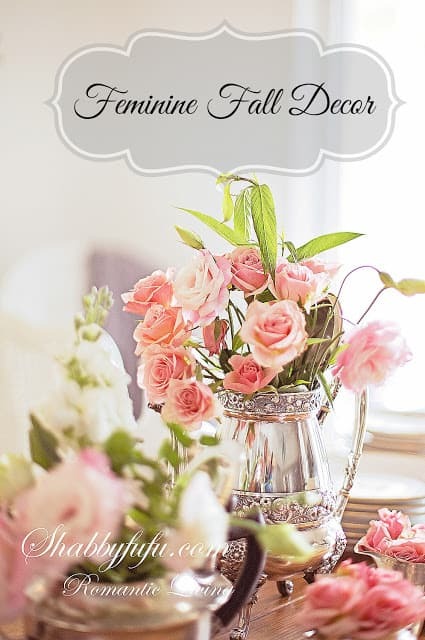 You could use perhaps a vintage floral or old French sheet if that’s your preferred look or style. 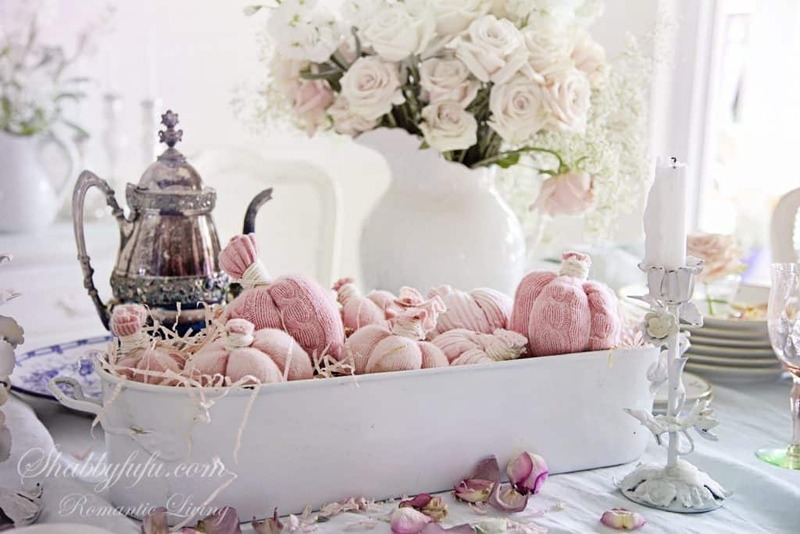 A melange of floral china, blush roses, silver and a painted fish poacher with pink sweater pumpkins. 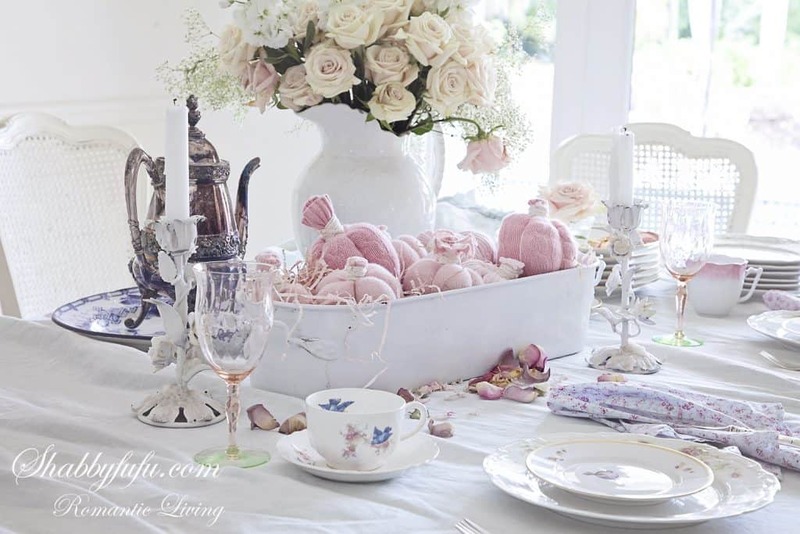 A few pieces to ponder if you are having the girls over for an Autumn lunch and want to try your hand with pretty fall decorating ideas for your table!